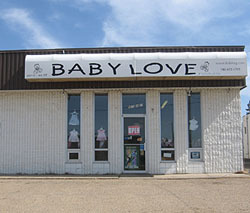 mortar" store located in Camrose, Alberta. -- no worries about orders being filled from undisclosed locations! always reach a live person when phoning us during business hours. spend money on unnecessary or low quality items. any questions you might have when it comes to cloth diapers! Cathy all are involved in the day-to-day operation of the business.